… or how far we have come. in ways which are less than life-affirming. but you’re “just not so sure”… about what? which are keeping us from truly embracing what could be. what are we asked to do? Better yet, who are we called to be? which still play softly in my ears. turn of the century definition, of “desire”. until then… when it hit me. I remember the moment vividly. it was like I was hearing this definition for the first time. So much so, I had to pull over and stop. That what was old, became new. And in that same moment, everything changed. So I’m inviting you now, to take a deep breath. are no longer serving you. this next definition that I’m about to share. … and to take root. is the effort of an unexpressed possibility to come into action. I encourage you to read it again, and again, and give it time. All I know is that for me, it did. Since then, these words have become the gauge by which I weigh everything. or something we are victims of. … you have, the power to do it. Just like the seed has the power to become the tree. 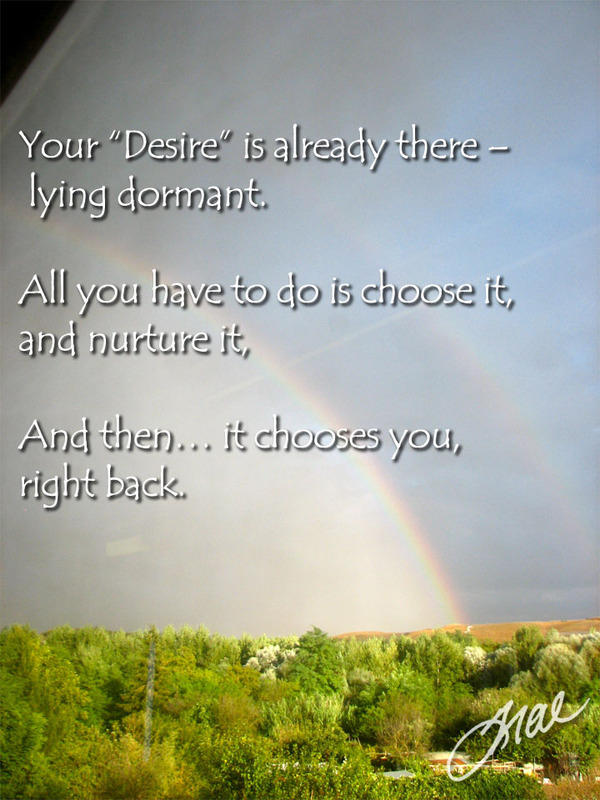 but the blueprint, the DNA of the “desire” is already there – lying dormant. And then, it chooses you, right back. What does that knowledge do for your belief system(s)?? Wouldn’t it be fun to co-create what’s possible, with the Universe? will be filled to overflowing instead of offering just a taste? This is how I have learned “how” to respond to “desire” now. and… it’s so – much – fun! Whether it’s new for you, or a pleasant reminder. Sound like fun? Then let’s do it!